Thanks for supporting the Platinum Gala! Thanks to your support, our Platinum Gala was our best event ever! For the first time ever, the gala sold out, and we made more in sponsorships than in previous years. This year's Silent Auction, combined with our once-in-a-lifetime trips, raised more than ever before. Thank you! The highlight of the evening came when Mr. Handmaker announced that we are expanding financial aid to the Lower School, beginning in the 2019-20 school year. The announcement drew a standing ovation from the packed gym -- and attendees backed up their applause with their support. 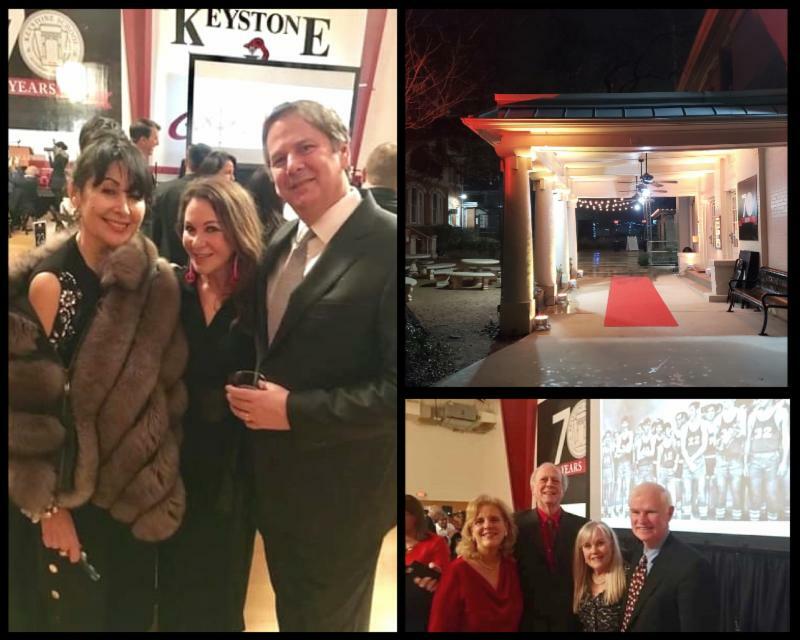 A special auction to build the endowment for Lower School financial aid raised more than $100,000, including a $15,000 pledge from an anonymous Keystone alum, a $15,000 pledge from an anonymous board member, a $10,000 pledge from Jeremy Shaw '88, a $5,000 pledge from Gary Cox '68, and many more. Your commitment to the mission of Keystone is truly inspiring. Thanks to our chairs and sponsors! John Edwards ‘91 and Gary Cox ‘68. Thanks to our underwriters. Without you, this gala would not have been possible. Here's a list of our generous sponsors .